We have two competitions running over the half term, winners of which will be prized with Marlow Bookshop Gift Certificates! For younger children (up yo 7yrs), decorate a butterfly or bird in the shop during the holiday (27th May – 4th June) for our window display! 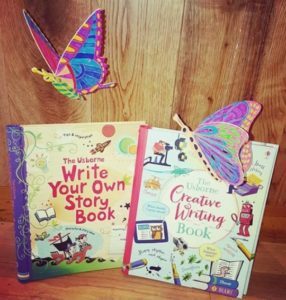 For older children, write a short story on any topic of your choice and bring it into the shop before the end of the holidays (4th June)! You can choose any topic, the more imaginative the better, and there is no upper word limit. Winners will be announced on the 5th June 2017.